Coming fresh off yet another amazing Chanel runway presentation, it only feels appropriate to discuss this brilliant brand. You would be hard pressed to find a fashion girl that the does not love Chanel, but here at Lex Loves Couture the iconic brand is an absolute favorite. While affordability always comes first, there is so much to appreciate about the long standing classic brand. If you are not already obsessed or need more convincing here are four reason to add your list. 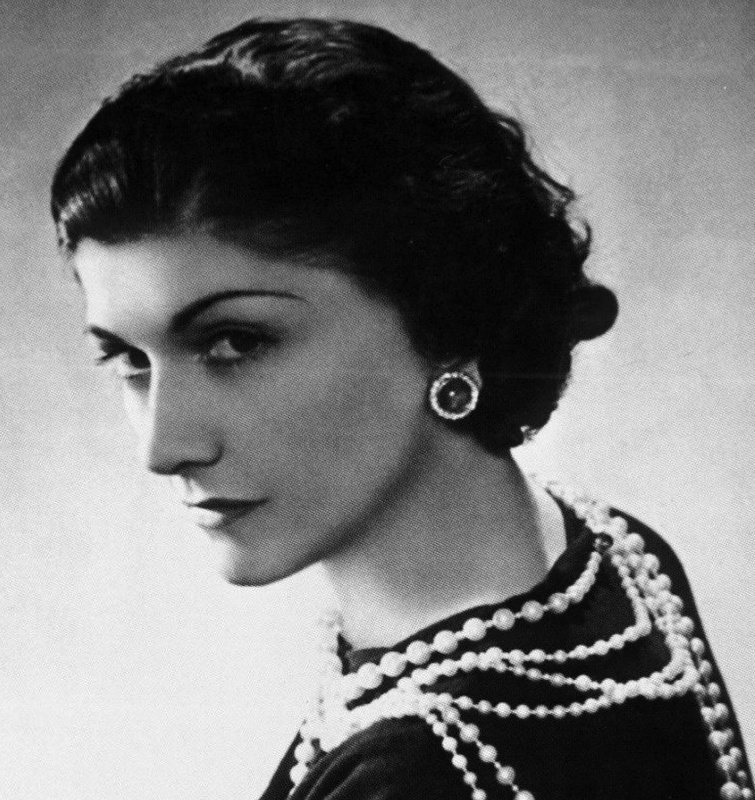 The best thing about Chanel, is its founder Coco Chanel. To this day, the brand embodies her elegant and timeless style. Coco was not born into a life of affluence. She is the epitome of a rags to riches story. As up and coming fashionistas it great to see how hard work (and great connections can really pay off). If you are looking for some inspiration the next time you are feeling discouraged, give Coco’s biography a quick read. After Coco Chanel, the next great thing to love is the brand’s current creative director, Karl Lagerfeld. 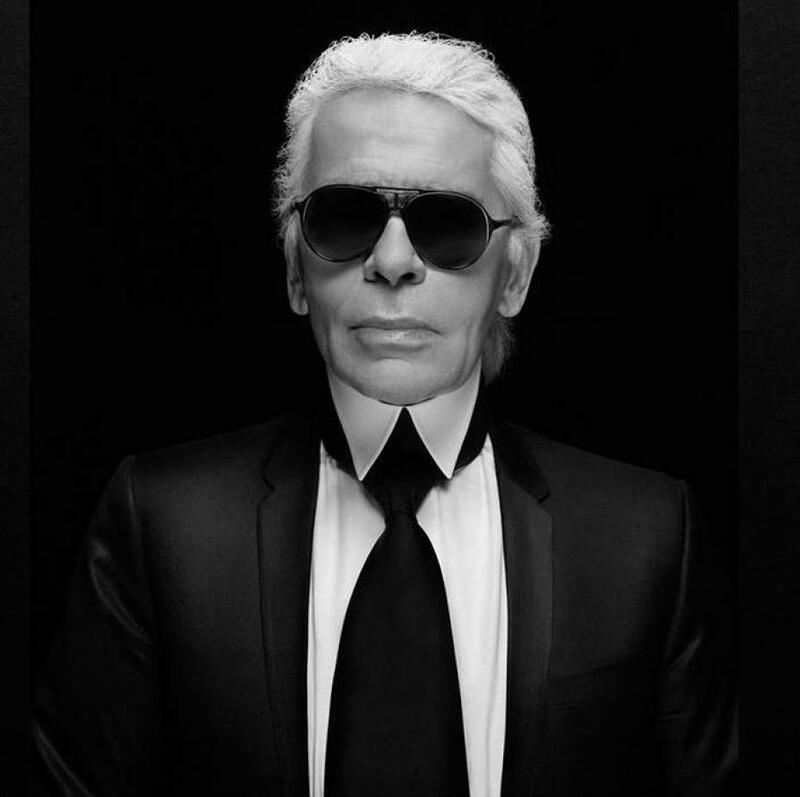 Lagerfeld has been in control of the brand’s creative direction for the past 30 years. Through him the brand has been able to maintain the spirit of Coco while keeping thing current and on trend. You also have to love a man who is always in all black and never takes off his sunglasses. 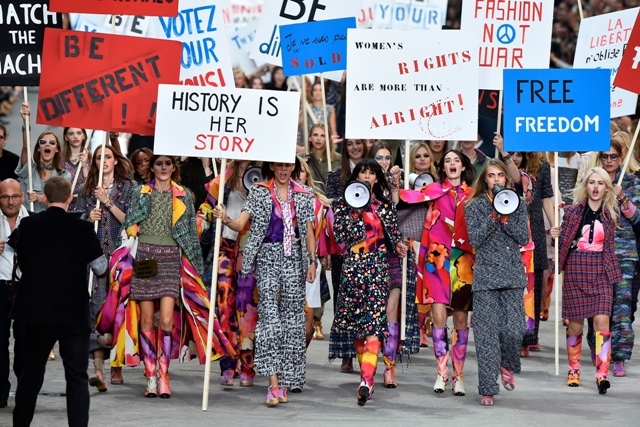 From creating the chicest supermarket ever during the Fall/Winter 2014 presentation to doing a mock feminist protest at yesterday’s runway show. Chanel is known for putting on runway presentations that are far from ordinary and always unforgettable. Last, but most certainly not least another reason to love Chanel is the fact that it so classic.Many brands are so on trend that it each season can makes the last obsolete. There is nothing wrong with outdoing yourself, but there is also something to be said about consistency because that is what stands the test of time. Chanel does just that with every single season and every single show.